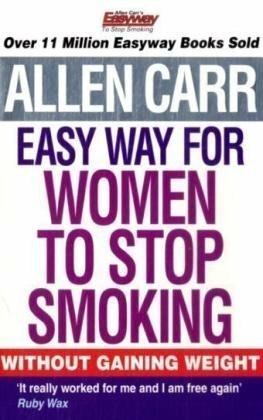 Carr's The Easy Way to Stop Smoking sold nine million copies worldwide. Filled with inspiring stories and quotes from real women who have battled nicotine addiction, this follow-up addresses the unique difficulties females face when they decide to quit. Carr and Francesca Cesati focus on those issues of special concern to women, such as weight gain, increased stress, and smoking during pregnancy, making this the perfect gift for any woman who lights up, and wants to stop. Secondhand smoke exposure and risk of lung cancer in Japan: a systematic review and meta-analysis of epidemiologic studies.